After Skincare, apply Elixir Skin Conditioning Primer to face and neck. 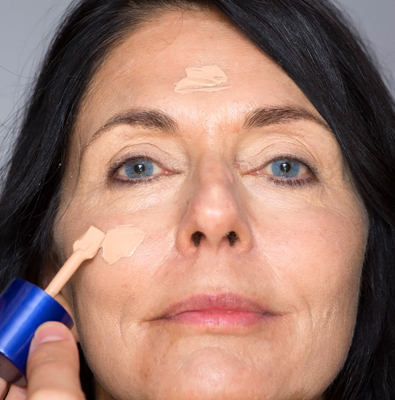 Apply Skin Stick HD Concealer around entire orb of eyes and on any lines or wrinkles. Blend in the direction of the line so as not to blend it away. 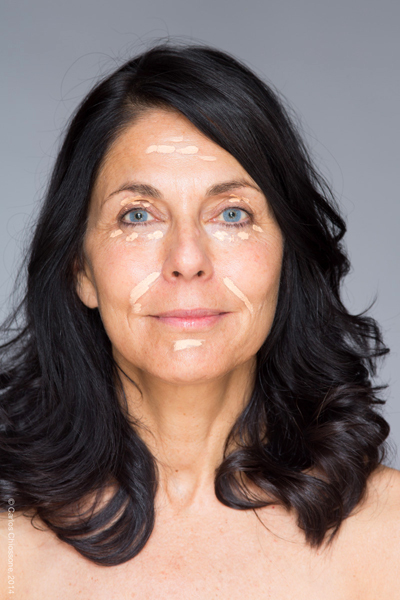 Apply Sleep in Beauty Tinted Moisturiser and blend using your fingertips. 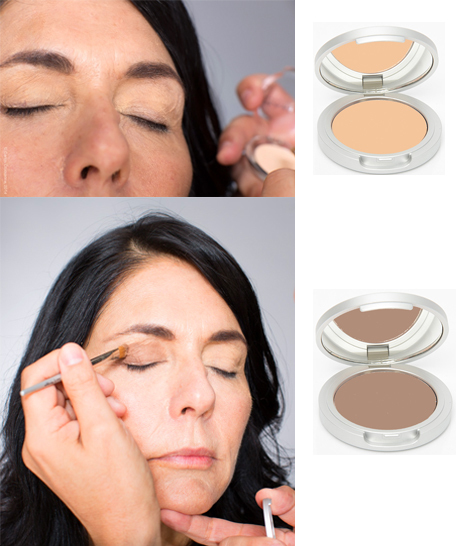 Apply Matte Eye Shadows: Golden Glow from lashline to browbone as your corrective base color and Neutral Impact on your eye lids. 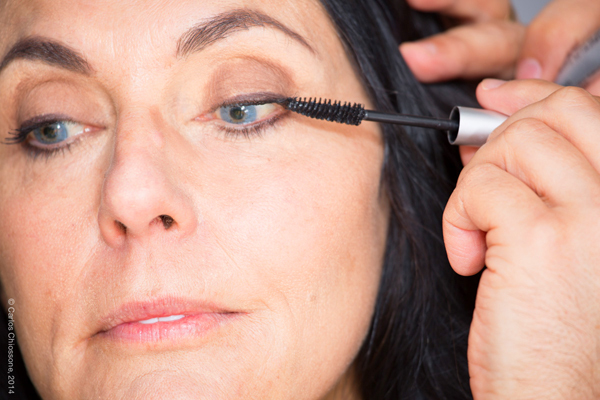 Apply Perfect Eye Wand Eyeliner to upper lashline, extending slightly past outer eye. Apply One Stop Shopping Mascara to upper lashline only. 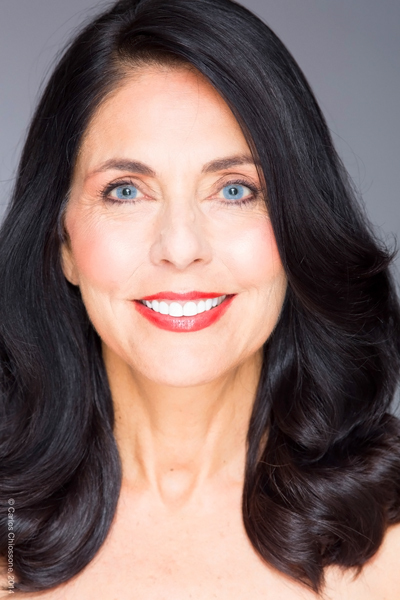 Add an extra coat of mascara for every decade over 30! 7. 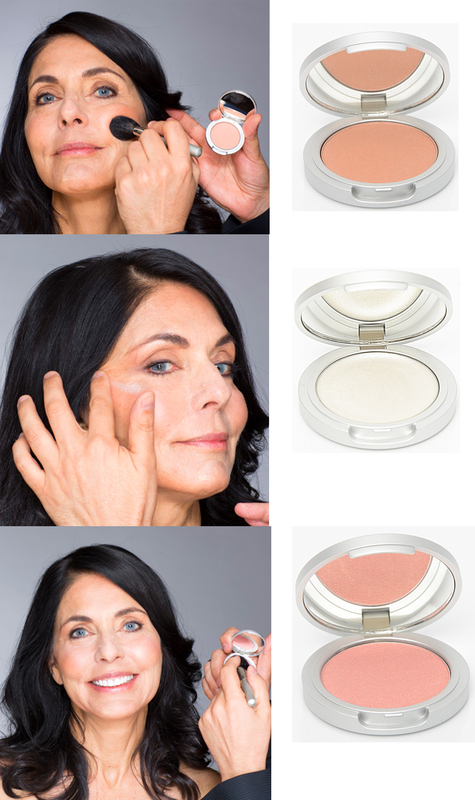 Youth Recipe Blush: To create a youthful fresh-faced glow at any age: Apply Blush in Alive! onto cheeks, eye lids and along hairline. Then add Pure Juice Highlighter high up on cheekbones, blending it in with your fingertip. Lastly, smile and add blush in B.Slapped! just to the apples of your cheeks and onto eyelids too. 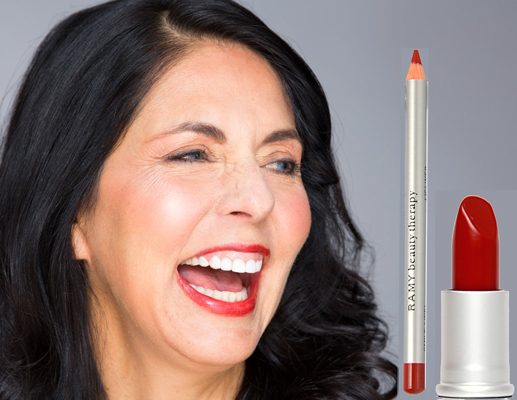 Line your lips to emphasize fullness and add Lipstick in Red My Lips! 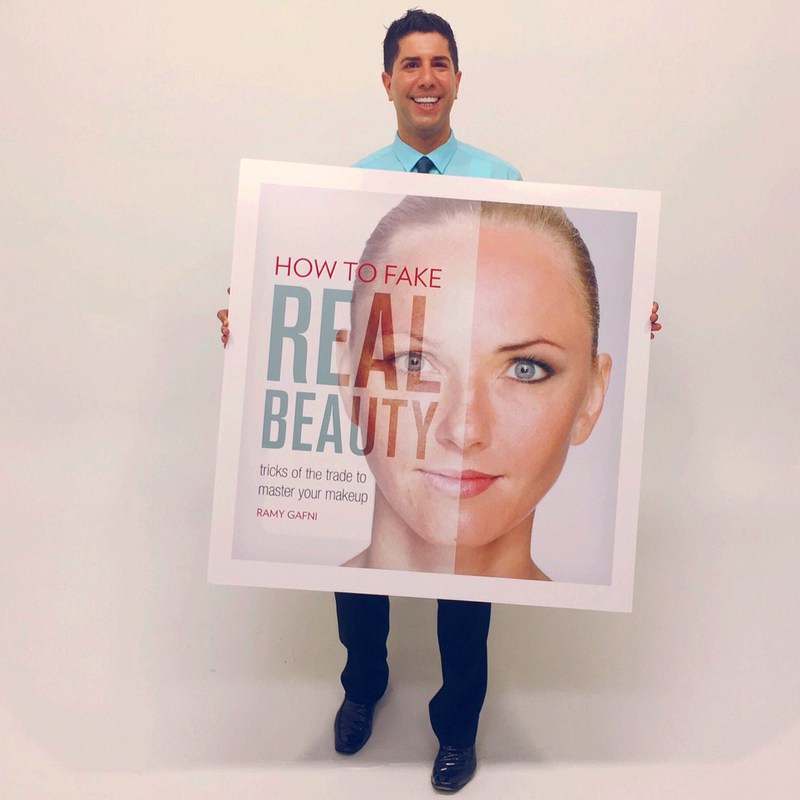 For more of Ramy's beauty tips and tricks, check out his book, "How To Fake Real Beauty"